It’s been a busy month of campaigning, but I’m a firm believer that there’s always time to help serve people. The past month has provided many opportunities to highlight several active organizations in our community who could benefit from our awareness and service, and I’d like to share several of my experiences with you. 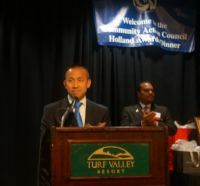 As the chair of the board of directors of the Community Action Council (CAC), I had the privilege of speaking at this year’s Holland Dinner about the rising needs of those who are struggling to make ends meet in our community. CAC, whose mission is to combat poverty, offers housing and energy assistance to low-income individuals as well as manages the county’s food bank and Head Start program. In just the past year, our food bank has provided food to over 22,000 individuals in Howard County. For more information on how you can assist CAC and the food bank, visit HowardHunger.com. 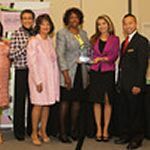 Among the organizations recognized at the Alpha Kappa Alpha Sorority—Iota Lambda Omega Chapter’s Annual Brunch were Healthy Howard and CAC, and I’m gratified to have the opportunity to serve as a board member of both organizations. 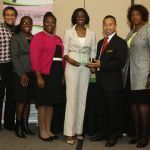 CAC was recognized as the recipient of the chapter’s Global Poverty Award, and Healthy Howard was presented with the Health Award. Healthy Howard has been undergoing an exciting transformation to serve as a patient navigator entity to help Marylanders enroll in our state’s healthcare exchange. To learn more about Healthy Howard and what it’s doing to help the exchange, visit the DoorToHealthCare.org. 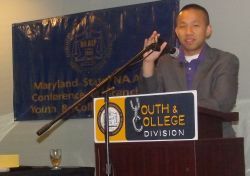 As a member of the Howard County branch of the NAACP, it was an honor to serve as a keynote speaker for this year’s NAACP Maryland State Convention in Ocean City. In my remarks, I reminded our youth members of the importance of registering to vote, and to our adult members, I spoke about the new provisions of the Affordable Care Act and how it will affect our healthcare system. If you’d like to become involved in the NAACP and its Youth Council, please visit their website to find out about upcoming events and activities. 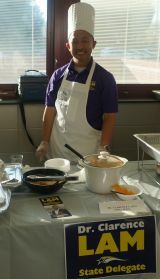 It was a pleasure to participate in this year’s Men in the Kitchen event to support the Howard County Center of African American Culture. I prepared my own specialty chili bowl, which was a big hit. (Feel free to let me know if you’d like the recipe!) The center has been serving to educate our community about African American history and culture for over 25 years, and you can find out more about its programs and services as well as how you can support the organization by visiting its website. These are just a few of the many vibrant and active organizations that continue to serve and benefit our community, and I hope you’ve had an opportunity to learn more about them. Our community depends on our service, so I encourage you to get involved!